The Leader of the House of Commons has backed Julian in his attack on the Competition Commission’s ruling on Cambridge’s Arts Picturehouse. When Julian raised this issue in the House of Commons, Andrew Lansley, responding for the government, told Julian that he agreed with him that the Commission had no place in intervening over the ownership of the cinema. He said in the Commons today (Thursday, October 10) that he did not “for one minute” think that the Arts Picturehouse was in the same market as other multiplexes in the centre of Cambridge. Julian had told Mr Lansley that “the Competition Commission had previously refused to act on the near complete monopoly by Stagecoach on bus services in Cambridge or of Tesco’s dominance in the grocery market in Cambridge but is acting on a case where not only are the public concerned but thousands have signed a petition against the Competition Commission’s decision”. Julian said later: “I am delighted that the Leader of the House agrees with me that the Competition Commission has acted outside its jurisdiction over the Arts Picturehouse. Thanks for raising this important issue in the House today. I have no idea how the Commission could lump the Arts Picturehouse in with Cineworld. The latter may own it, but in the same way that a hedge fund or other disinterested party might do so. Both business show films, but that’s all they have in common. The Arts Picturehouse in Cambridge is much more than a cinema – it’s the city’s leading social hub for all its communities, young and old. Schools and colleges use it for educational purposes, many people just go to the cafe to meet friends. No-one does that at Cineworld or Vue. Cambridge has many museums all with a similar role, but we don’t call that a monopoly and insist on the closure of the Fitzwilliam. I hope the Commission considers the appeal of my fellow Cambridge citizens. We love our Arts Picturehouse! If this was a monopoly situation, why was Cineworld allowed to buy the chain in the first place? thank you Julian, very impressed by the time and energy you put into this,despite a busy schedule. Arts supporters very much appreciate your quick and thoughtful approachputting this cause before Parliament. 1) All of the research showed a clear differentiation in the market between arthouse / independent and multiplex cinemas, which if considered would have negated the findings. 2) The findings of the Competition Commission were based on a flawed assumption of a single ticket price and incorrectly excluded membership schemes. The surveys on which they based their findings excluded these and are therefore fatally flawed. 3) There is still a level of competition at least at the national average in these areas following the takeover, so there is no requirement to increase competition further in these areas. Does this mean that the Competition Commission should be forced to re-consider their decision? 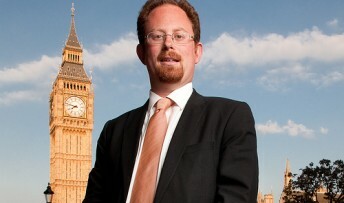 Thank you, Julian Huppert, thank you !